Our founding attorney, Dan Caplis, is nationally recognized for his excellent legal capabilities in personal injury law and has been relentlessly helping clients get the compensation they deserve for over 34 years. Whether you or a loved one was injured by a car or truck accident, pedestrian accident, unsafe flooring, a dangerous product, flagrant medical malpractice, or any other type of negligence, Dan Caplis Law will fight for the full compensation you deserve. Dan Caplis Law has extraordinary experience in catastrophic injury and wrongful death cases. Dan Caplis and his team of highly accomplished attorneys have a proven track record of exceptional success in big cases, both in settlement and when necessary, at trial. Our firm has won hundreds of millions of dollars for our clients, has been recognized in Time Magazine's "Leaders in Personal Injury" and won Colorado's largest personal injury verdict in 2015. At Dan Caplis Law, we provide effective, personalized and compassionate legal services to our clients. 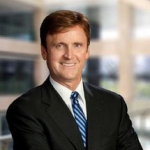 Dan Caplis, is nationally recognized for his excellent legal capabilities in handling Medical Malpractice cases. If you or a loved one was injured by flagrant medical malpractice or any other type of negligence, Dan Caplis Law will fight for the full compensation you deserve. Dan Caplis Law has extraordinary experience in catastrophic injury, medical malpractice and wrongful death cases. Dan Caplis and his team of highly accomplished lawyers have a proven track record of exceptional success in big cases, both in settlement and, when necessary, at trial. Our firm has won hundreds of millions of dollars for our clients, has been recognized in Time Magazine's "Leaders in Personal Injury" and won Colorado's largest personal injury verdict in 2015. 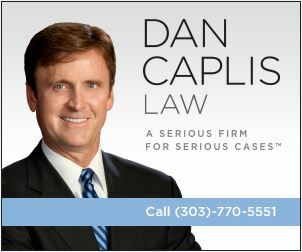 Lawyer Dan Caplis is the founding partner of Dan Caplis Law. He graduated with honors from the University of Colorado where he served as Student Body President and was named the National Evans Scholar of the Year. Dan was then awarded a Juris Doctor degree from the University of Colorado School of Law. Dan has been recognized for his outstanding legal accomplishments in handling personal injury, medical malpractice and wrongful death cases.